This month’s blog post asks you to consider shooting in black and white. I know, I know, we see in colour… But before colour photography was invented, photographers had no choice but to shoot in black and white as this was all that was available. 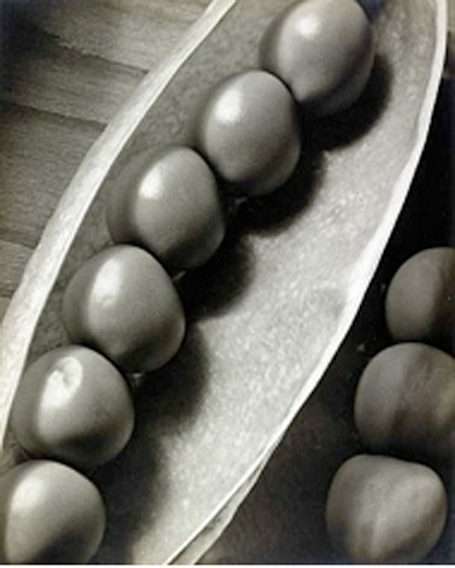 Photographers like Edward Weston and Edward Quigley focused on the dramatic interaction of light and shadow to emphasize the texture of the chosen objects in their photographs. 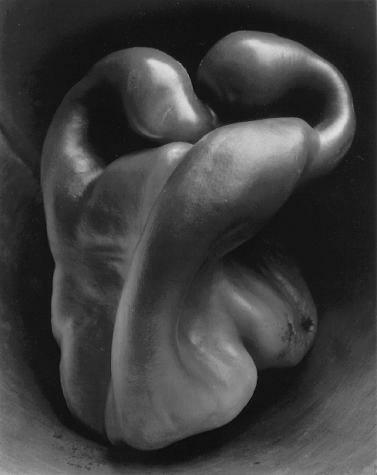 When you look at the arrangement of the peas in Quigley’s image, it draws your attention to their shape and beauty, while Weston’s tight crop and dramatic lighting promotes the pepper’s twisting curves. These aspects make for very visually dynamic images. Prior to colour film, many food photographs for cookbooks and magazine advertisements were shot in black and white and had colour, usually pastels, crayons, watercolours or oils painted over them. Hand-coloured photographs were a well-respected art form in Japan in the 1800s; one great advantage of hand colouring was that the pigments used in the oil-based paints increased the shelf life and quality of the photographs. Now, there are many ways to do this digitally, as well as by hand. By enhancing certain colours in the images, you can draw the viewers’ attention to say, the redness of some tomatoes at a market scene or the freshness of green herbs in a dish.